Family physicians play a pivotal role in healthcare. We want to increase awareness of that role and the impact family medicine has on the health of patients, communities and Minnesota. We also want to equip family physicians with the tools needed to be advocates for their patients, practice and profession. Through this blog, we will share legislative updates and resources that can help you take action on issues that matter most to you. You will hear not only from the Academy but a variety of family medicine and primary care voices (rural docs, urban docs, educators, learners and more). We will cover not just legislative advocacy but also advocacy around family medicine leadership, education and practice. We want to make advocacy feel accessible to ALL our members. YOUR voice matters; YOUR PATIENTS matter; FAMILY MEDICINE matters! 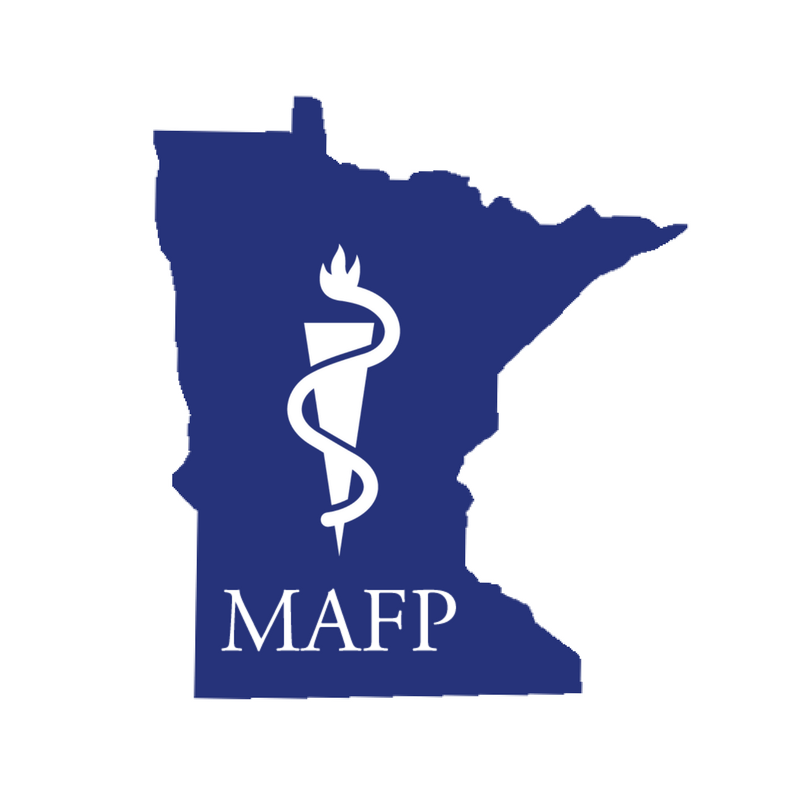 We promote the specialty of family medicine in Minnesota and support family physicians as they provide high quality, comprehensive and continuous medical care for patients of ALL ages. The MAFP is a state chapter of the American Academy of Family Physicians (AAFP). The Academy offers continuing medical education opportunities throughout the year, supports advocacy of family medicine in Minnesota and promotes the specialty of family medicine to Minnesota medical students. We are the largest medical specialty organization in Minnesota, representing more than 3,100 family physicians, family medicine residents and medical students. We welcome your opinions and encourage open discussion about the topics we post. Comments posted to the Minnesota Academy of Family Physicians social media accounts do not reflect the opinions of the Minnesota Academy of Family Physicians.